The circular economy has become a hot topic for business leaders in Europe over the last three years. Spurred by a resource price shock following the financial crisis, many companies are exploring whether greater resource productivity can help them to maintain profi tability in an era of volatile prices. Governments are catching up: despite the withdrawal in January of the EU's proposed circular economy legislation, the European Commission has pledged to reintroduce a more ambitious proposal before the year's end. There are also at least three good environmental reasons to pursue the circular economy. First, existing recovery systems are suboptimal. For example, in mobile phones, only 17 of the 40 elements used in their manufacture are recovered at all, with the rest ending up in slag, even in the best recycling plants1. Second, from a lifecycle perspective, the environmental burden of products is shifting from use towards manufacturing. Around 75 per cent of carbon emissions from laptops, tablets and smartphones are generated before they are sold, and electric vehicles have roughly double the embodied carbon of internal combustion vehicles, (though their full lifecycle emissions are less)2. This means that keeping products in use for longer, or recovering and reusing them, is the best means of reducing environmental impacts. Third, by decreasing the use of virgin materials, a circular economy can dramatically reduce emissions and negative environmental impacts of mining and refi ning. For example, producing 1 kg of gold releases 18,722 kg of CO2 equivalent. Recycling is much less carbon intensive than mining: the embodied carbon in recycled aluminium – which, at 11.48 kgCO2/kg has much lower embodied emissions than gold – is typically one-tenth of that of virgin aluminium3,4. In addition, reuse or recycling avoids mining waste risks, like those relating to red mud in aluminium production. In 2010, a caustic waste reservoir containing red mud in Hungary catastrophically failed, flooding several villages and causing all life in the nearby Marcal river to be “extinguished”5. But despite the advantages, those seeking to reuse, remanufacture, recycle, or shift to services have found a range of barriers. Rather than reinventing the wheel, taking a close look at Japan's experience of pursuing a more circular economy can help to illustrate the sort of changes that might be required. Japanese recycling rates are extraordinary: the country recycles 98 per cent of its metals6 and, in 2007, just five per cent of Japan’s waste ended up in the ground, compared to 48 per cent for the UK in 2008. Japan’s appliance recycling laws ensure that the great majority of electrical and electronic products are recycled, compared with 30–40 per cent7 in Europe. Of these appliances, 74–89 per cent6 of the materials they contain are recovered. Perhaps more significantly, many of these materials go back into the manufacture of the same type of product8. This is the ‘closed-loop’ holy grail of recycling, essential for a truly circular economy. Third, Japanese business culture emphasises collaboration; the result is a comprehensive approach, both to measurement and to action. Figure 1. Japan has a high population density and limited landfill space (© Malgorzata Gajderowicz). An output indicator, measuring how much waste is ultimately landfilled. These indicators have associated targets. Japan supplements these with a host of sector-specific measurements, for which there are sometimes industryspecific targets. Finally, it also measures indicators of societal effort toward a circular economy, looking at the size of the market for rental and leasing of goods, the amount of reusable packaging sold, the number of local authorities that charge for residual waste collection, and even the sales of disposable chopsticks as a proxy for the proportion of the population that uses reusable chopsticks. When it comes to actually making the circular economy work, comprehensiveness and collaboration are at the heart of the Japanese system. The public plays a part by separating out recyclables, paying recycling fees directly and holding companies to account when necessary. Manufacturers do their bit9 by using more recycled materials, and making longer-lasting products that are easier to repair and recycle. Consumer-friendly collection: the system for collecting old appliances for recycling is so comprehensive and easy to use that it is harder not to recycle them. Old appliances are collected by retailers either in store or when delivering a new appliance. For old IT equipment, the manufacturer can be requested to collect it by local authorities from the doorstep, or it can be taken to any post office to be returned to them. 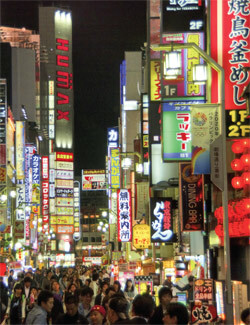 This is routine across Japan, making it well understood and widely used. Consumers pay fees up front: for electronics, the cost of transport and recovery is paid for at the point of purchase, meaning that the customer does not have any disincentive to participate when a product comes to the end of its life. Penalties for fly tipping are also stiff. Recycling infrastructure is co-owned: the law requires consortia of manufacturers to run disassembly plants, ensuring they directly benefit from recovering materials and parts. Companies therefore invest for the long term in recycling infrastructure. And because they own both manufacturing and recovery facilities, companies send product designers to disassembly factories to experience the frustrations of taking apart a poorly designed product. Some companies even put prototypes through the disassembly process to make sure they are easy to recover. 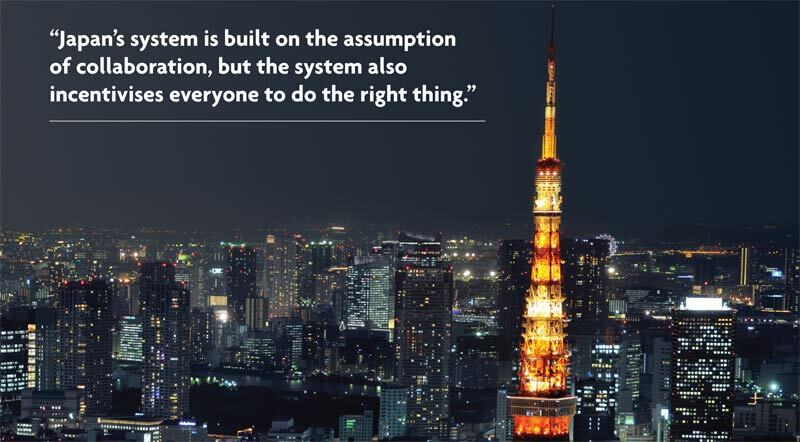 Japan’s system is built on the assumption of collaboration, but the system also incentivises everyone to do the right thing. This model, neatly summarised as ‘honesty, with incentives’ shows that effective Japanese systems help to reinforce Japanese public spiritedness. A fascinating analysis10 of the honesty and lack of looting following the Fukushima earthquake shows that this was the result of consistent and strong rewards for honesty and strict punishments for the dishonest, not just any innate qualities of the Japanese character. The result is that system does not just work well, it is also highly profitable: Japan’s reuse and recycling economy was worth £163 billion in 2007 (7.6 per cent of GDP) and employed 650,000 people6. The lessons for Europe are that governments need to help design circular systems, so that businesses can design circular products and services. Japan’s very successful car industry is increasingly shifting to hybrid and electric vehicles, which require a supply of rare earth metals for their NiMH batteries. Rare earths are well dispersed throughout the Earth’s crust but rarely occur in commercially viable quantities, so their production is associated with serious environmental risks: mining creates large, toxic, slightly radioactive ponds and the refining process requires the use of hydrochloric acid. Poor practices in China and Malaysia, for example, have been blamed for serious pollution of agricultural land and watercourses11. In contrast, lifecycle analysis of recycling neodymium, a rare earth, suggests it has a human toxicity score 80 per cent below that of mining12. Japan has always sought steady access to raw materials for industry, and thus in 1999 began recovering rare earths in car batteries as part of a wider effort to recover steel. However, until 2012, these rare earths were mixed into stainless steel, making them unavailable for use in new batteries. Chinese restrictions on rare earth exports, starting in 2010, provided a catalyst for the development of a battery-to-battery recycling process, which exemplifies how national government leadership, company collaboration, and effective reverse logistics combined to enable a novel material to be recovered. Immediately after China announced the export restrictions on rare earths, the Japanese Ministry of Economy, Trade and Industry (METI) announced a grant programme to accelerate the commercialisation of rare earth recycling technologies. This grant enabled Honda and the Japan Metals and Chemicals Company (JMC), which had already cooperated on lab tests of technically effective though expensive means of recovering rare earths from car batteries, to invest in technical improvements to their process13. In brief, this involves extracting battery cells from Honda’s battery packs, calcinating and pulverising the cells, separating iron scrap from the dust (which contains the rare earths), dissolving the dust in acid, and then electrolysing the rare earth salts that precipitate out of the acid. Because the rare earths are concentrated at the base of the battery electrodes, the key innovation was in optimising the pulverisation process to improve yields14. JMC and Honda now operate a recycling facility capable of recovering 400 tonnes of rare earths per year. Public expectations that recycling should be promoted underpinned both corporate and government drivers. Of course what works in Japan cannot necessarily be copied wholesale, but we all can learn from the Japanese approach to creating a circular economy. Dustin Benton runs the Low Carbon Energy and Resource Stewardship themes at Green Alliance. He is responsible for work on energy efficiency and renewables, the UK’s electricity market, and Carbon Capture and Storage, alongside work on resource risks and the Circular Economy Task Force. Before joining Green Alliance, Dustin worked for the Campaign to Protect Rural England on renewables and land use policy. Jonny Hazell is a senior policy advisor, focusing on circular economy metrics, comparative policy analysis, and resource governance. Before joining Green Alliance he was research director at Inovenergy leading the ‘The 1 Tonne Roadshow’, an event series promoting best practice in waste management. He also led research on the UK’s renewable heat market, reuse of materials in London, and social enterprise in China. 4. Circular Ecology (2014) Embodied energy and carbon – The ICE database. Circular Ecology Ltd, Bristol. www.circularecology. com/embodied-energy-and-carbon-footprint-database.html. Analysis: Does silicon-based life exist?